Word was received January 22nd of the passing of Jean Palmers grandson, SP E-4 Nicholas Brown of Dayton , Ohio . Nicholas was driving a Humvee when an explosive device took his life. He had just been back in the states for a visit with his family and the birth of a son on January 14th. His grandmother Jean related that they decided on naming the child Nicholas at the last moment after having chosen a different name. Nicholas Sr. went back to Iraq on the 18th and passed away on the 22nd. More details will be provided when they become available. Please join us in offering our deepest sympathy and condolences to Jean and all of her family. Jean is the St. James Township Clerk. Spc. Nicholas Brown, a graduate of Vandalia-Butler High School , was killed Monday in Iraq . He is shown with his wife, Sara, and their son, Nicholas Brown II, who was born Jan. 14 during the soldier's brief visit home to see his newborn. 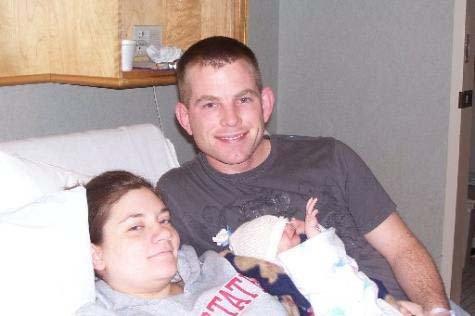 Vandalia-Butler High school graduate came home days before his death to see his newborn son. A Vandalia-Butler High School graduate was killed Monday in Mosul , Iraq , eight days after becoming a father, the Department of Defense confirmed Thursday. Army Spc. Nicholas P. Brown, 24, died after an improvised explosive device detonated near his vehicle. Brown is survived by his wife, Sara, 21, of Dayton and their son, Nicholas Brown II, born Jan. 14. Sara moved from Fort Bliss , Texas , to Dayton during her pregnancy to be closer to family while her husband was deployed, the family said. Days before his death, Brown came home to Dayton from Iraq to see his son. "It was a blessing that he was able to briefly see his newborn son Nicholas before returning to Iraq " last week, Brown's family said in a prepared statement. "Sara will treasure forever those moments together." The infantryman was assigned to the 2nd Battalion, 7th Cavalry Regiment, 4th Brigade Combat Team, 1st Cavalry Division, at Fort Bliss , according to the Defense Department. He was posthumously awarded the Bronze Star and Purple Heart. "Nick was very proud to serve his country," his family said. "He enjoyed playing pool, being with friends and taking care of his family." Brown joined the Army Reserves in 2001 before switching to active duty in November 2004, according to his family. He deployed to Iraq in late October, said Jean Offutt, public affairs officer at Fort Bliss . Deployments usually last one year, she said. "We appreciate everyone's thoughts, prayers, and support, but ask that you allow us this time to grieve in private," the family said. Col. Paul Kelly, 45, a University of Dayton and Carroll High School graduate, was among 12 U.S. troops killed Saturday in Baghdad when their Black Hawk helicopter crashed. Kelly, one of the most senior Army officials to die in Iraq , lived in Stafford , Va. , with his wife, Maria, and sons Paul David, 9, and John Joseph, 5. Kelly is to be buried Thursday in Arlington ( Va. ) National Cemetery , according to his sister-in-law, Peggy Kelly, one of several family members who live in Beavercreek — including Kelly's parents, John and Mary Rose Kelly. A scholarship fund for Kelly's sons is being set up through St. William of York Catholic School in Stafford . UD is planning a memorial service, time and place to be announced. Donald Amos Anthony, “Walking Bear,” age 70, of St. Ignace, died early Tuesday morning, Jan. 23, 2007, at Tender Care in Sault Ste. Marie. He was born July 27, 1936, in Sault Ste. Marie, finished school and enlisted in the Army at the end of the Korean War. He served six years, much of it in Germany . He was a Great Lakes commercial fisherman most of his working life, but the last 12 years was in security at Kewadin Shores Casino in St. Ignace. He had been ill the past two years, and in Tender Care. 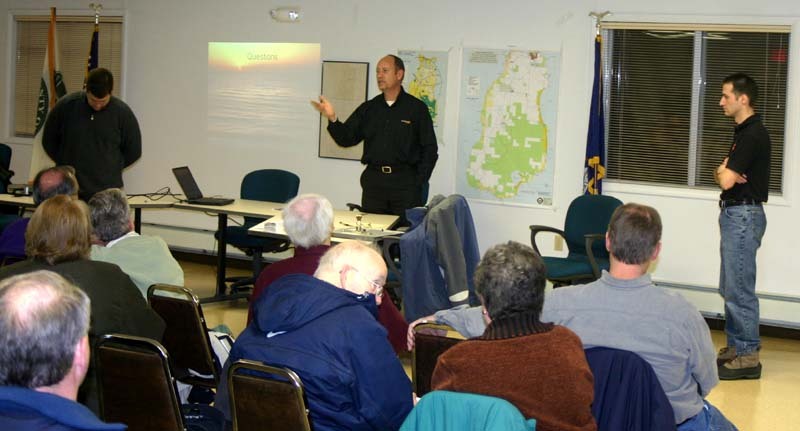 He had lived in St. Ignace the past 19 years. Donald was a member of Little Traverse Bay Bands of Odawa Indians, and a life member of the V.F.W. Post 5114 in St. Ignace. Survivors include his wife, Verna; a son, Brian (Diane), of East Jordan; daughters, Dannon of Shingleton, Donzel Anthony of Beaver Island, Theresa Wabininkee of South Haven, Daneen Anthony of Charlevoix; brothers, George (Paulene) Anthony of Traverse City; sisters, Bernice Suhr of South Haven, Darlene Sholes of South Haven, Evon Pirsein of South Haven, Janice Grooms of South Haven, Margaret Mallory of Levering; stepchildren, Constance Bullis of South Haven, John Pensinger of Charlevoix, George Pensinger Jr. of South Haven; 10 grandchildren; two great-grandchildren; and three stepgrandchildren. He was preceded in death by two sons, Darrel and Donald Jr.
Friends may call at the Dodson Funeral Home in St. Ignace 6-8 p.m. Friday, Jan. 26. Parish prayers will be at 8 p.m., led by deacon Donald Olmstead. The funeral service will be 11 a.m. Saturday, Jan. 27, at the funeral home with brother John Hascall officiating. 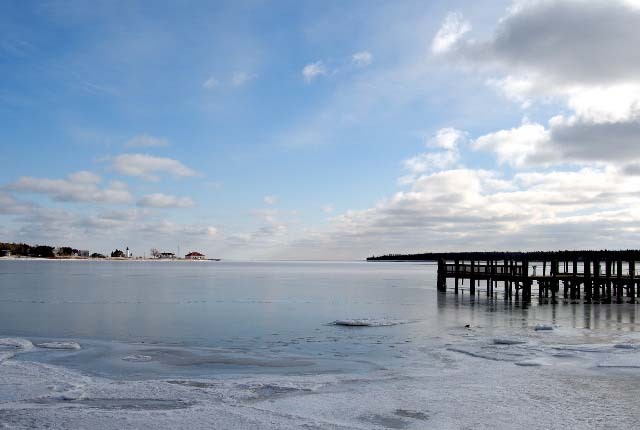 Frank Solle took this picture on January 20, 2007, when the sun was shining. It's and inviting photograph for ice fisherman, but we're not sure how thick the ice is. Brian has this business with his father, but he is not alone in this project. and Ben Ockers from Proxim, a leader in wireless research and development. These gentlemen presented their vision of the wireless networking solution for Beaver Island . 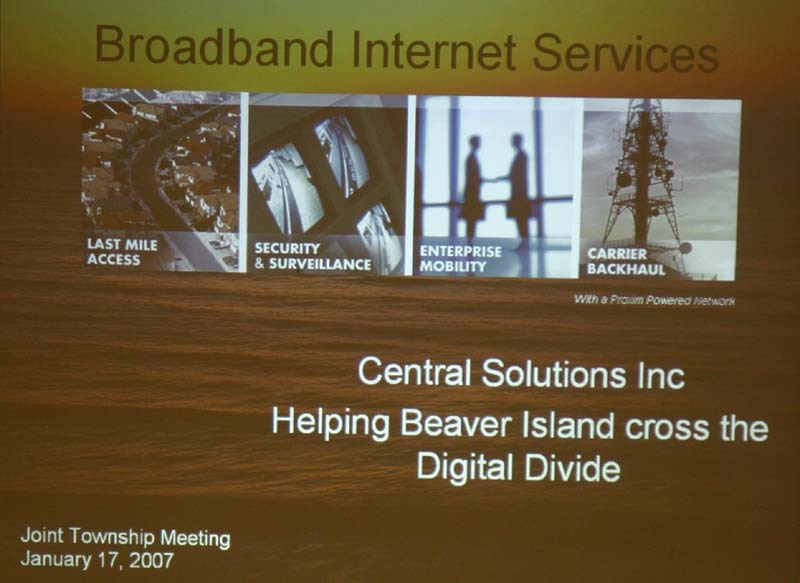 Their goal is to build a “carrier grade network” for Beaver Island with redundancy where needed. The funding for this project will come directly from Central Solutions, Inc., including private money and investment, possible USDA involvement, and Commercial Loans. The services to be offered include a basic home wireless solution that would provide speeds approximately six times faster than the best dialup speed and at 320 Kbs for a monthly cost of $38.95 or at a lower rate of $28.95 per month if paid on a 12 month contract. This is the low end of services offered for most homeowners. The plan also includes several other options for homeowners including high speed Internet access at up to 1 Mbs at a monthly cost of $88.95 or $78.95 as the 12 month contract fee. The residential rates would include free roaming account for wireless “hotspot” access points using a Wi-Fi enable laptop, handheld or other IP device, two email accounts, 10MB of web space, and a 24/7 help desk support system. Business Rates would start at a 512 kbs at $69.95 or $63.60 contract fee and would continue up to $104.95 or $95.40 as the contract fee. If there was a requirement for more IP addresses the fee would increase as well. Business Rates would include the same items as the residential except the email account would be increased to five and the web space increased to 20MB. If dedicated Internet access was a necessity, two plans were offered 768 kbs and 1.5 Mbs at $400/month and $800/month respectively. These dedicated accesses included the same items as the regular business option and three IP addresses. Two other plans were offered including a “Pay-As-You-Go Service” and a “Roaming Only Wireless Internet Account." Contact Central Solutions for further information at info@centralsolutions.biz . The bandwidth for all plans is symmetrical meaning that the upload and download speeds are exactly the same for every plan offered. Central Solutions will own and maintain all equipment for the project up to the point of entry into your home or business. After the Internet access enters your home or business, you may use one or multiple computers for the account subscription..
A Quaker minister's story of wonderful and funny times in Harmony. This seems to be quite an unknown author here on Beaver Island. No one had checked the books out, and they were on the way out of the Beaver Island District Library door from the "Books for Sale" table. What a well written and entertaining author we had passed over! One story from this series of novels is an example of what can be really funny. One of the parish members has decided to feed small pieces of paper to chickens. A Bible verse is written on the slip of paper. The hope and the miracle is to have these chickens lay "Scripture Eggs" that can be passed out to all unbelievers in the hopes that they will consider the Bible verse a "voice from God" and will cause many unbelievers to convert to the proper belief. This parishoner and his wife believe that "Scripture Eggs" is their spiritual calling. The story continues with more and more layers on this plot while the minister tries to convince his parishoners to find something worthwhile as a project to help others. This book series is well worth checking out of our local library. If you have a favorite author that you think is not being noticed here on the Island, please let me know by sending me a short article with who, what, and why you think so. MOTION Works, second Morgan to approve the November 8, 2006 minutes, motion approved. MOTION Morgan, second Welke to approve payment of all current bills presented, motion approved. MOTION Welke, second Morgan to approve Gordon's Auto Clinic Plowing Service's bid of $80.00 per hr. with a minimum charge of $53.00, motion approved. 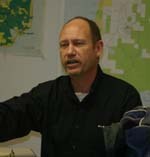 MOTION Welke, second Morgan to approve the Additional Road Millage language to be put on the ballot at the February 27, 2007 Election, motion approved. 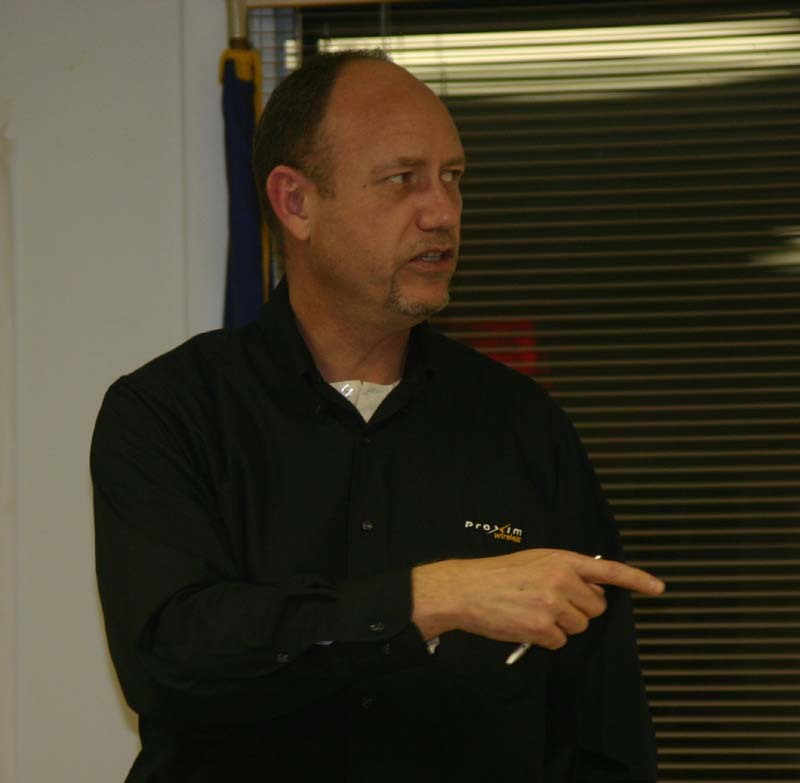 NG Wireless Company would like to have a public meeting with both township boards on January 17, 2007 to discuss wireless Internet options, but there will be no disclosure statements signed. REPORTS: Planning commission has 2 zoning requests, one for a land division and one sand dune. The planning commission requested that they have use of the new trustees office at Peaine Township Hall. The board agreed that this office space might be used by the planning commission and all other Peaine Township committees with approval of Pete LoDico (trustee) who is absent at this meeting. 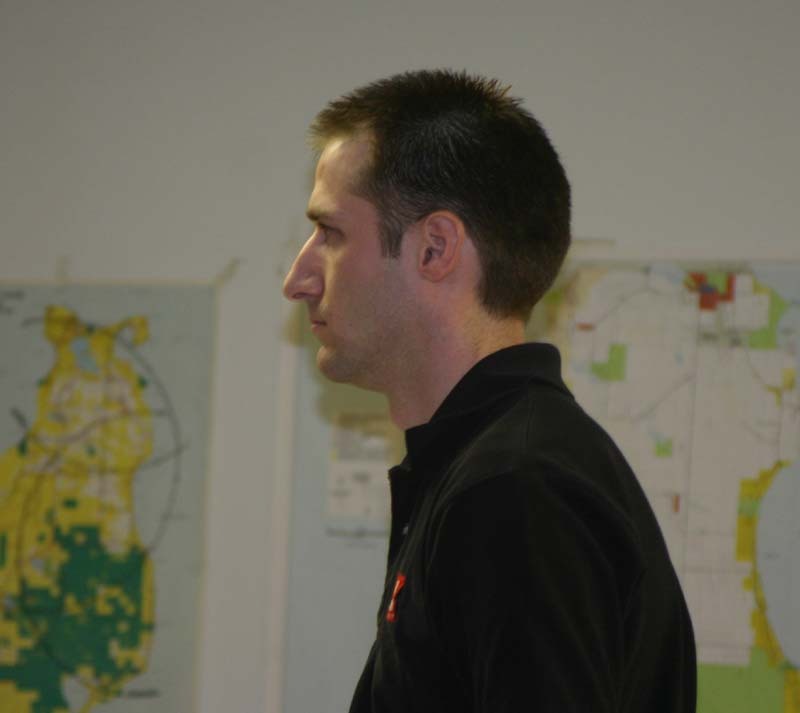 John Works stated that Peaine Township will still be responsible for paying monthly rent on the office space now being used by the Planning commission even if they vacant this office space. The Planning commission is also requesting that the supervisor appoint another planning commission member to fill the vacancy. 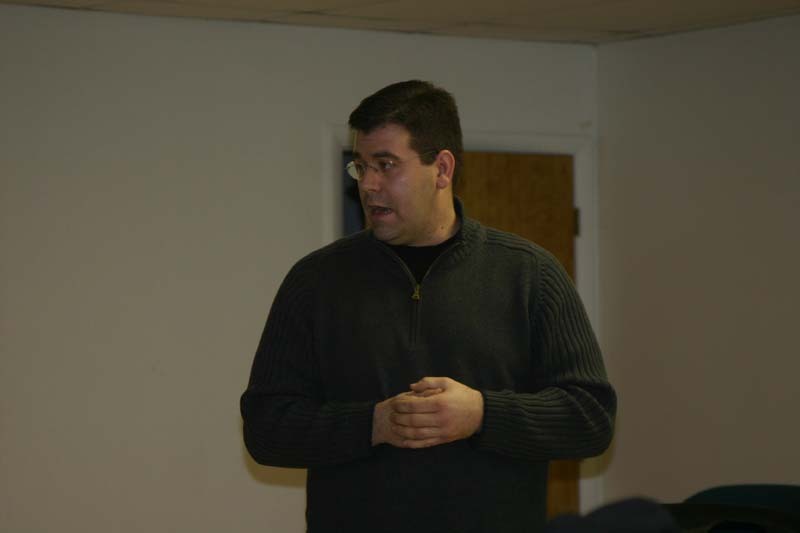 John Works stated that he would give a recommendation to the board at the January meeting. Beginning on January 24, 2007, BIEMS will be offering a Medical First Responder course during the day at the Beaver Island Community School. The class will meet Monday through Friday beginning on January 24th and ending on June 5th, 2007. On Monday, the class meets from 1:15-2:00 p.m. and Tuesday through Thursday from 1:25-2:20 p.m. Interested adults should attend the first class meeting in Room #9 at the Beaver Island Community School at 1:25 on 1/24/07. After Glen's passing, Eleanor requested that any donations be made in his honor to the Beaver Island Club. It is very important to us that it be used in a way that keeps the many memories of Glen McDonough alive. While at Nina's, a few members of the Club were discussing what to do with the money. It was then that the idea of the Glen McDonough Memorial Music Scholarship came to us. This year, Brenna McQuay was selected as the receipient of the Glen McDonough Memorial Music Scholarship. Brenna, grandaughter of Brian and Dee Gallagher, has shown a tremendous intrest in playing the piano. Her mother, Kathy McQuay (Gallagher) and father, Rick McQuay, have supported her and lead her toward her interests in music. Brenna has been awarded $500.00 to be used toward piano lessons. Kathy is in the process of selecting from a list, an instructer that will both accomodate Brenna's desires and take an equally active role, as her parents, in leading Brenna and preventing discouragement. The Beaver Island Party is in Grand Rapids, February 24,2007, at the Hilton on 28th Street sponsored by the Beaver Island Club of Grand Rapids.